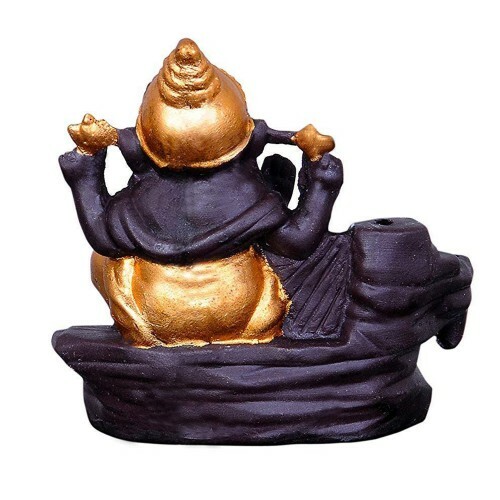 DHAROHAR THE HERITAGE presents you a new series of SMOKE FOUNTAIN.It is back flow incense burner whi..
DHAROHAR THE HERITAGE presents you a new series of SMOKE FOUNTAIN. 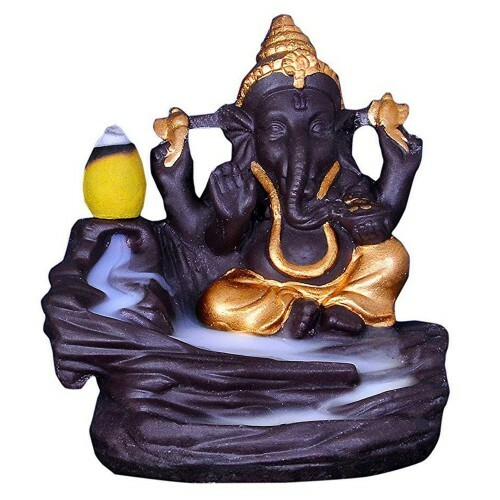 It is back flow incense burner which creates an illusion of Smokey waterfall and adds beauty to your home, office, pooja room etc. 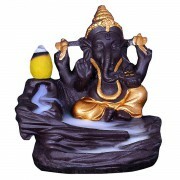 Buy original or genuine product from us, which is made of 100% Porcelain. 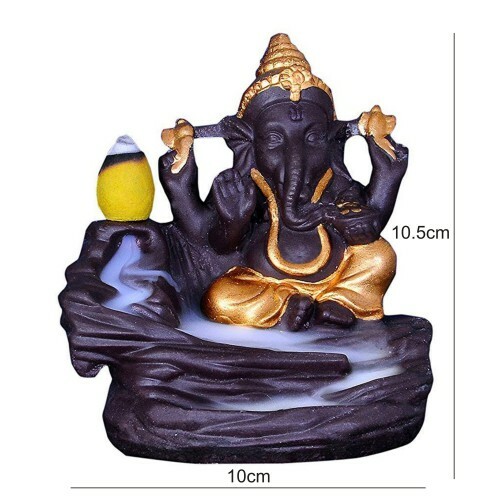 You will find same product at low cost made of cheap quality material like plastic fiber etc. Be aware of such duplicity. 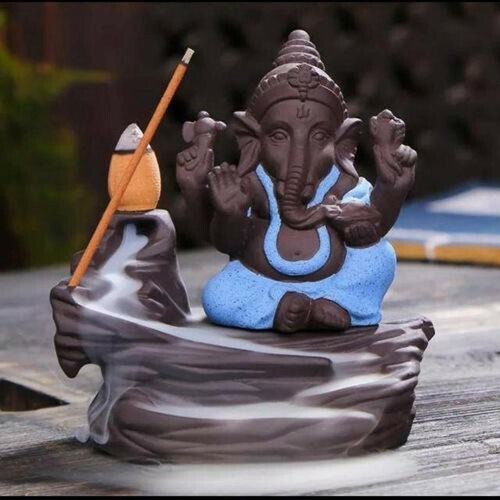 Package contains 1 Back flow Incense holder; 10 back flow cones.
. Light up a cone and put on the space provied.
. For better result avoid air flow.
. 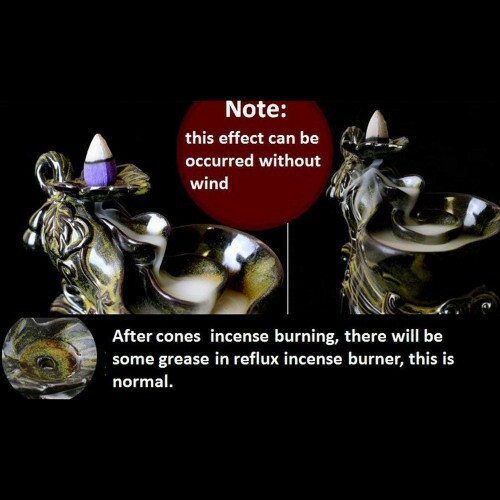 Always use back flow cone.
. Never leave un attended.
. Keep out of reach of children.
. Avoid fast air flow.